Darwin Winters, reluctant pet psychic, is determined to leave her family's paranormal past behind and lead a normal life. So she strikes out on her own and opens up a new pet boutique in St. Pete, Florida. When a local homeless man she befriends is found dead, and the police assume it's a suicide, Darwin has no choice but to use her gift to help collar the killer. 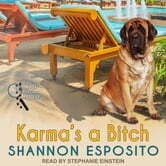 She adopts his grieving mastiff, Karma-and with the dog's help-tries to piece together the events of that fatal night. 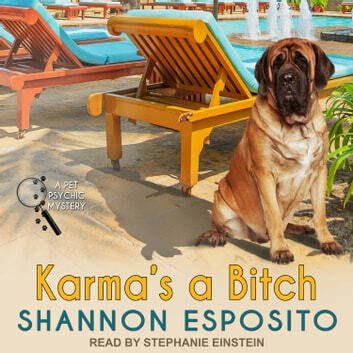 Accepting the visions is one thing, but can she solve the mystery without revealing her powers to the jaded, yet drool-worthy, detective in charge of the case? Or will the killer put an end to her psychic sleuthing and bury the truth for good?